Teaming with the Harrison Convention & Visitors Bureau (CVC) has made the North Ark Open one of the best events on the tour. The head, Matt Bell, who I simply call “The Boss” was the man that contacted me initially. Over seven years ago, he called and had me go before a board and “pitch the sale” of the course on the North Ark campus. It didn’t take much persuading as all the members were eager to bring disc golf to Harrison. The same year we planted the course, the Finale was held there. It too was funded by the CVC. A lot has been invested by the CVC and after talking with Matt after each event, he is proud of the course and the continued support from players that continue to make this event a must on the Disc Golf Monkey Tour. 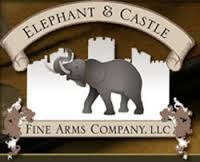 More and more you continue to see Elephant & Castle as a sponsor and often a title sponsor for the Disc Golf Monkey Tour events. Doug Bowen, is an outdoor man’s man. Thankfully, along with his love and passion for hunting and his fascination and business dealing with all ranges of firearms, he also loves the sport of disc golf. He has played for years and continues to compete in tournaments & leagues. He is a competitor and pulls off some wins from time to time! I wanted to give a big shout out to Doug and Elephant & Castle. Thank you first for your true friendship, second for believing in what DGM continues to do, and last supporting both emotionally and monetarily. Thanks so much my friend! The North Ark Open never seems to disappoint. We had another maxed out field with 4 extra players totaling 94. From the second I drove up I was completely amazed how absolutely beautiful this course is. I pulled up Friday, just after the noon hour and ran into the head maintenance man who had just finished mowing. He said that they had spent a little extra time on the course this year, and it showed. Two thumbs up for the remarkable course prep by the North Ark maintenance/grounds crew. The weather matched the beauty of the course. Reaching the mid 80’s for both the doubles Friday and the main event on Saturday, it was awesome disc golf weather. The breeze kept it from being too hot. It was mostly sunny with some occasional clouds. After the start of this season, the warm weather was welcomed by nearly everyone. Normally I start with the lower divisions and work my way up, but this tournament was the “Hot Pretzel” Show. By now everyone knows the formally know Andrew Preznell is now known as The Pretzel! This truly was the Pretzel show as he simply annihilated the 20 hole course as he blistered a 24 down! He buttered up and added a little salt to the course as he made incredible drives and lights out putts players said. It was as if the trees, hills, and everything around him were chanting Pretzel, Pretzel, Pretzel! His 49 first round and 51 was more than enough to “twist up” Kyle Webster (the second place finisher) as he said after the round. Kyle, shot an amazing 21 down and would have won handily if it had not been for the Pretzel being on Fire. * The Sandy Bagger Award was given to Tyler “Sandy” Batton who shot a 56 in the first round who bested Doug Bowen by 6. MOVE UP SANDY!! Congratulations to all winners, and thanks to everyone who made it out! See you in two weeks at Dragon Ridge in Camdenton, MO! Pictures were a look from the top of the course near hole 8... epically beautiful! !